We study the cellular mechanisms of how epithelial tumors develop and interact with the organism to cause cancer. What cellular processes and mechanisms underlie the deconstruction of epithelia and cellular transformation in response to mutations in proto-oncogenes or tumor suppressors? How does tumor cells interact with and impact the organism? Tumor cells depend on the organism (patient) for its growth and reciprocally have widespread impact on physiology and survival. We seek to mechanistically decipher these interactions with microenvironmental cells and somatic tissues. 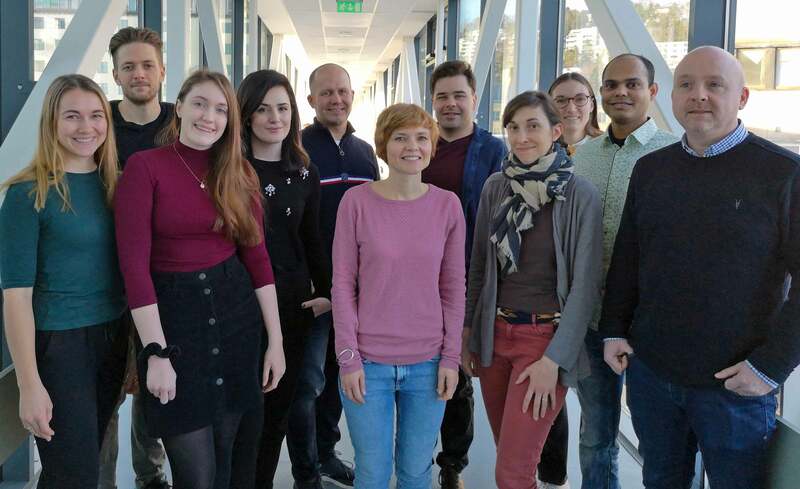 Maren Lie, Petter Holland, Julia Simensen, Rojyar Khezri, Tor Erik Rusten, Viola H. Lobert, Szabolcs Takáts, Caroline Dillard, Riccarda Schimanski, Ashish Jain, Fergal O’Farrell. 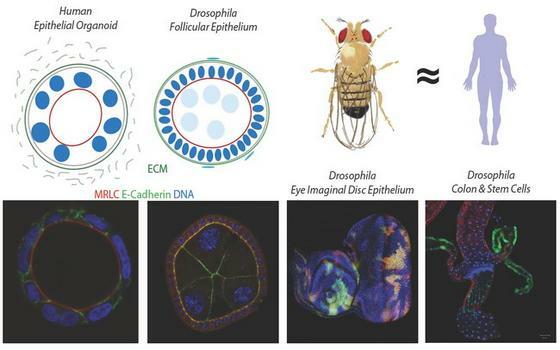 To capture a wide array of the complexities of the mechanisms of carcinogensis we are using a combination of the genetically amendable animal model system, Drosophila melanogaster and a human organoid model system that approximates real epithelial organ architecture in vivo. Drosophila is very powerful to study the biological function(s) of unknown and identified tumour suppressor genes and oncogenes and place them into pathways and context. Drosophila conveniently lends itself to analyse tumor suppressors as genetically labelled homozygous mutant cells can easily be made in an otherwise heterozygous mutant background, emulating loss of heterozygosity of tumor suppressors in cancer, representing an in vivo cancer model under physiological conditions. Additionally, proto-oncogenes can easily be expressed and analysed in a controlled manner in any organ. Finally, cooperation of oncogenes and tumor suppressors in carcinogenesis can be studied in vivo under different physiological conditions. Human organoid cell culture is another powerful system to model epithelial-derived cancer development in their 3D environment approximating an in vivo situation. In particular, the loss of organized epithelial structure, contact inhibition restricting tumor growth, breakdown of extracellular matrix and cell evasion can be studied. See the awesome videos WHY USE THE FLY? and SMALL FLY BIG IMPACT or read more about the use of Drosophila in science here. We are always looking for talented and motivated Post Docs and PhD students that wants to join the lab. If you are interested please contact Tor Erik Rusten by email well in advance to be able to secure funding.